Winter is slamming the northeast these past couple of weeks, and holed up in the house on stormy nights — trying to ward off a stubborn cold for more than three weeks now — I have been trying to think of the perfect recipe to make the both of us feel all warm and gushy inside while requiring the barest minimum of actual work. 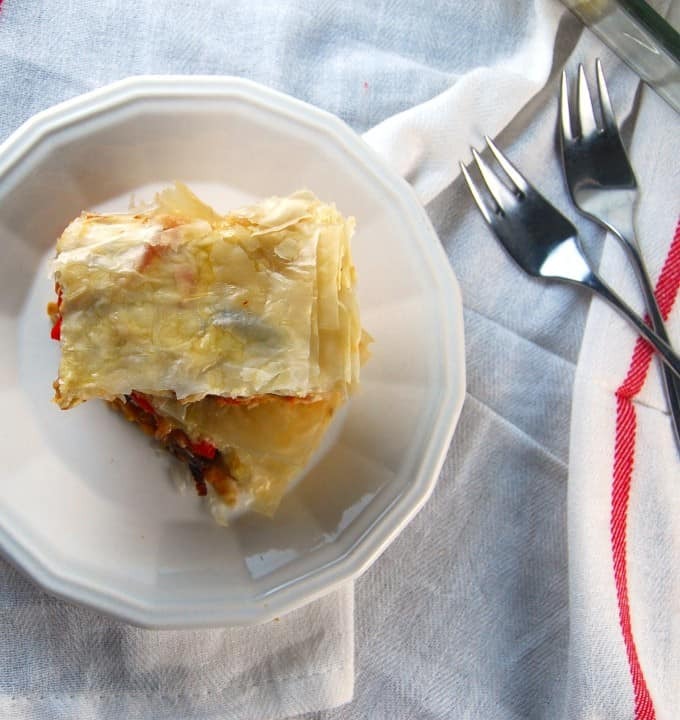 Like this delicious High Protein Filo Lasagna with Roasted Veggies. 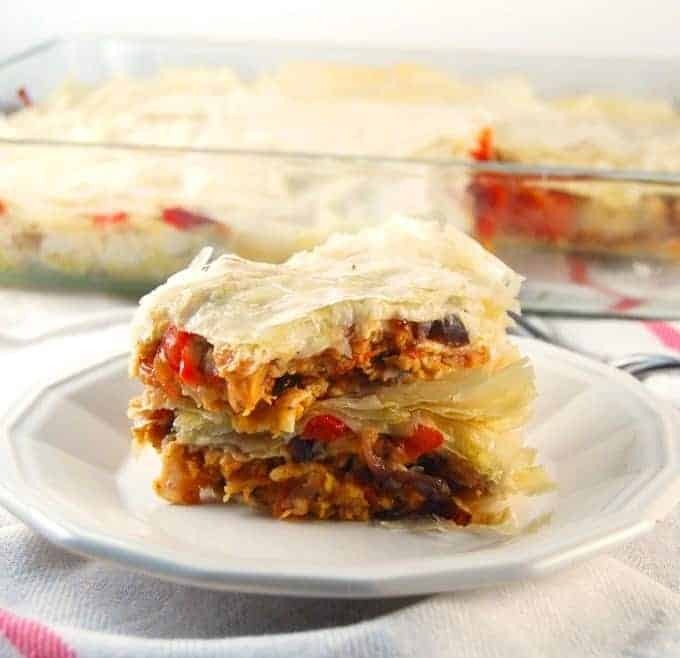 Filo Lasagna is a bit of a no-brainer, isn’t it? If you really, truly, deeply love lasagna, and who doesn’t, why not make it all golden and crispy and that much more fun to scarf down? 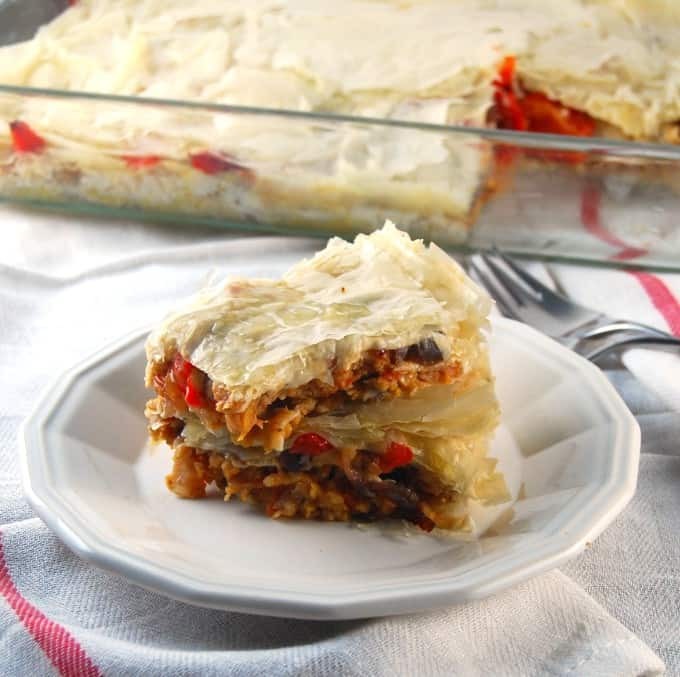 Best of all, can you think of a better way to make a lasagna child-friendly? 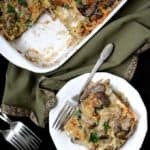 For the filling for this easy filo lasagna, I used a layer of protein-powered seitan and chickpeas mixed up with some mushrooms and tomatoes and herbs, and another layer of roasted veggies. Red peppers and onions. Although it sounds a little complicated, trust me, it isn’t. The only work here is making the seitan-chickpea filling, and that comes together in bare minutes. The other job is layering the filo sheets, but if you’ve done this before, you know it’s a simple enough process. I got it done in about 10 minutes, while guiding Jay through his math homework. How’s that for multitasking? This is truly a complete meal, because you have everything your body and tastebuds could ask for in a single slice– not to mention more than 25 grams of good, heart-healthy protein. To make it even more memorable, serve it with a bright, leafy salad on the side. Come dinnertime, you’ll be a hero. Thaw the filo at room temperature. Heat the extra virgin olive oil. Add the onions and garlic and a pinch of salt and ground black pepper. Saute until the onions are soft and look cooked. 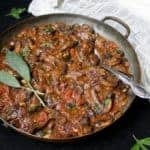 Add the mushrooms, stir to mix, then add the diced tomatoes, paprika, and herbs. Let the mixture cook, stirring frequently, until it darkens and most of the liquid from the tomatoes has evaporated. In a food processor, pulse the chickpeas and seitan until they are crumbly but not pasty. You want some texture. Add this to the tomato and herb mixture and stir well to mix. Let the filling cook about 10 minutes more on medium heat, so all the flavor mix well. Check seasoning and add more salt and black pepper if needed. Turn off the heat and set aside. Toss the red peppers and onions with salt and ground black pepper and olive oil. Spread in a single layer on a baking sheet and bake in a preheated 350-degree oven for 30 minutes or until the onions are slightly browned at the edges. Set aside. Brush the bottom of a 9 X 12 inch baking dish with some olive oil. Place a single filo sheet on top. Work carefully but don't fret if it tears-- filo is very forgiving and by the time you are done adding on all those layers no one will know. Brush or spray the filo sheet with some olive oil and place another sheet on top of it. Brush or spray with oil again. Repeat this until you have layered seven sheets. 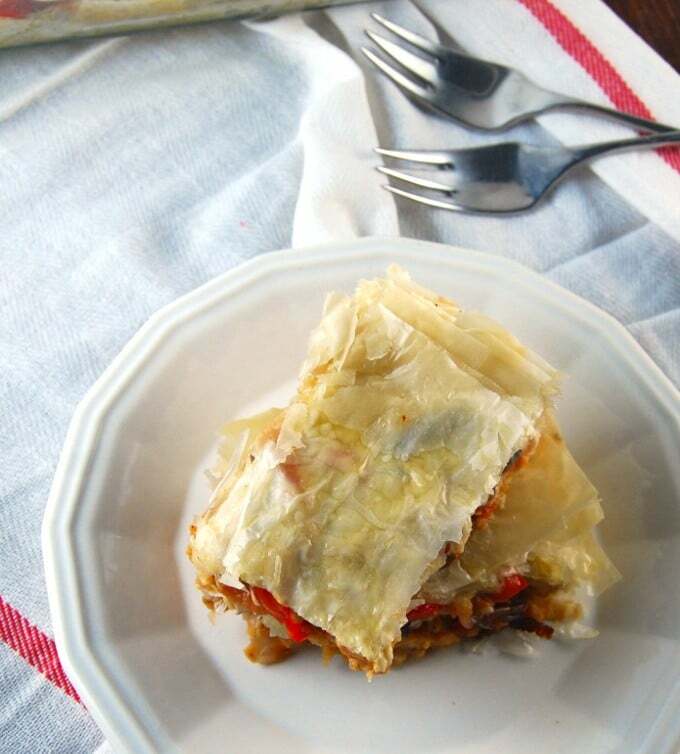 Spread the seitan-chickpea filling in an even layer on the filo. Continue layering the filo sheets on top, spraying each sheet with oil, until you have added six more sheets. Now spread the roasted veggies on top in a single layer. Layer on the remaining seven sheets, spraying with oil after each layer is added. Spray some oil on the top sheet. Cover the baking dish with some aluminum foil and bake 20 minutes. Remove the foil and continue baking another 3 minutes or until the top is lightly golden-brown. 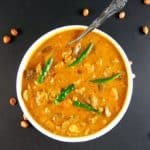 This recipe looks yummy Vaishali! 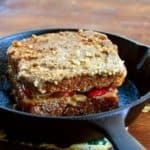 I have a question, what can I substitute for Seitan? Tks. 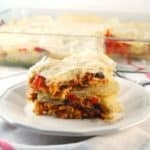 Wow this looks great- I never thought of using filo dough for lasagna! 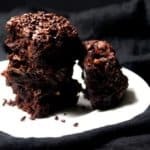 This looks amazing, but I have never heard of this powdered Seitan. Where do I find it and how do I use it? Is it used like TVP? Hi Sue, the seitan is not powdered. It’s just regular seitan. 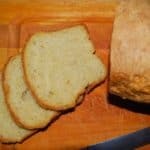 You need to crumble or process it to get a texture similar to ground meat. This looks lovely. I have a question – does this reheat well? Have you tried freezing it? 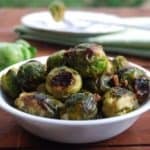 Hi Ambica, it reheats beautifully– I cut up slices and reheat them for about five minutes in a 350-degree toaster oven which makes the top all crispy and golden. I haven’t tried freezing this, but I would imagine it would freeze well. Thaw and reheat before serving. Cheers. 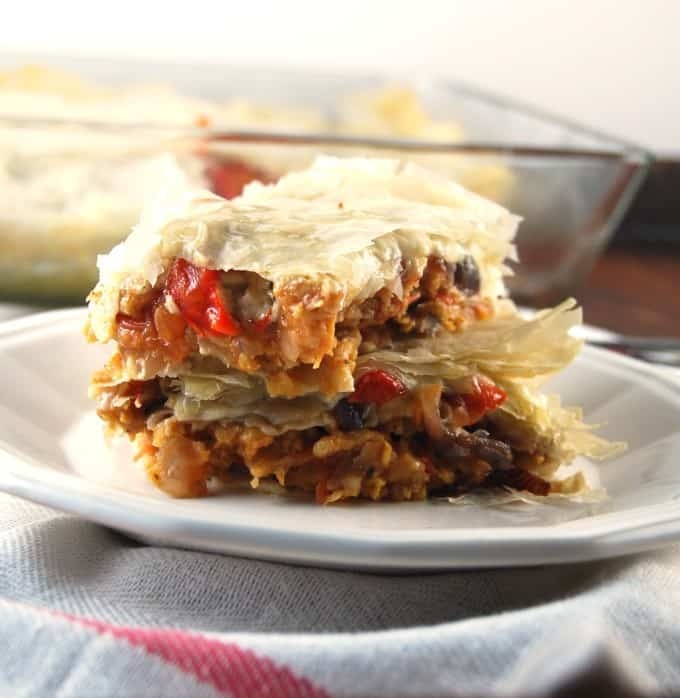 This is such a clever recipe and I love that it’s high protein plus veggie packed. 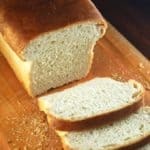 This recipe really looks yum! However, I am highly allergic to soy. Do you have another suggestion for replacing the seitan. Thank you always for WONDERFUL vegan recipes. Hi Darr, you can just use beans, or almost any vegan “sausage” product that doesn’t have soy. Red or black beans would be perfect in this, or pinto beans. Cheers. I seriously do not know how you do it. You ALWAYS respond to my questions. Where do you find the time? 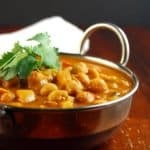 As a vegan vegetarian with allergies (30 years +), your recipes are truly God sent and keepers that I use many times over. TRULY Thank you. . . Thank you. . .
Darr, thanks for your kind words. 🙂 Glad you enjoy the recipes. Using Filo sheets is brilliant. 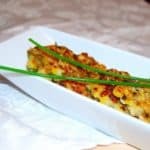 I like the delicate crunchiness and it will make for a nice change ( my son is averse to pasta anything, these days, except restaurant mac n cheese). My husband made this it was excellent.